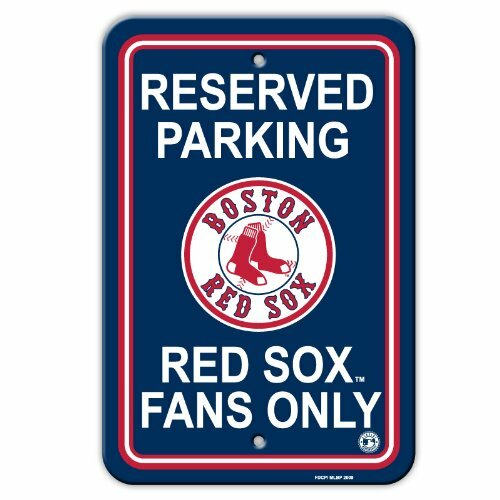 Show your team spirit proudly with this MLB 12″ X 18″ Parking Sign. Each 12″ x 18″ parking sign is made of durable styrene. The officially licensed parking signs are decorated in the team colors, great for decorating home, office or dorm. Bought this as a gift for a huge Sox fan. Good quality graphics. Sign itself seems a little flimsy, but it’s going up on a wall, not like we’re going to use it as a frisbee. What is not to love about a Boston Red Sox fan sign? It was perfect for out cottage parking lot.